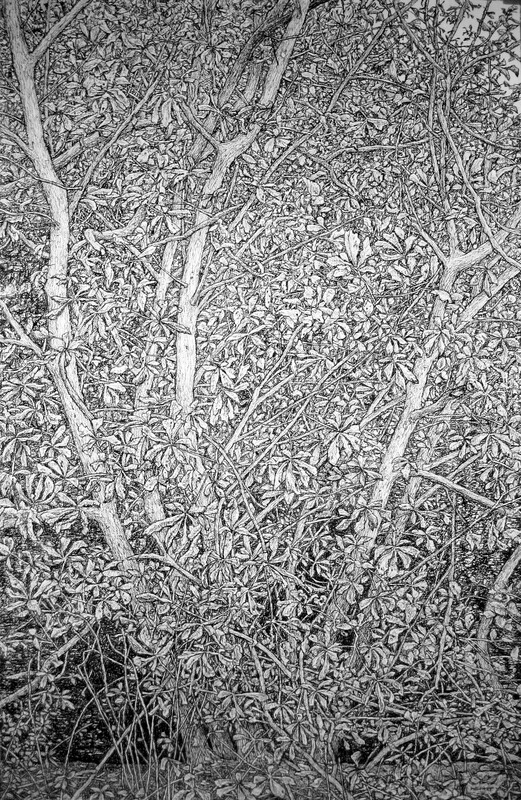 Millefolia is a two-person exhibition which presents contrasting approaches to the intricacies of the natural world. 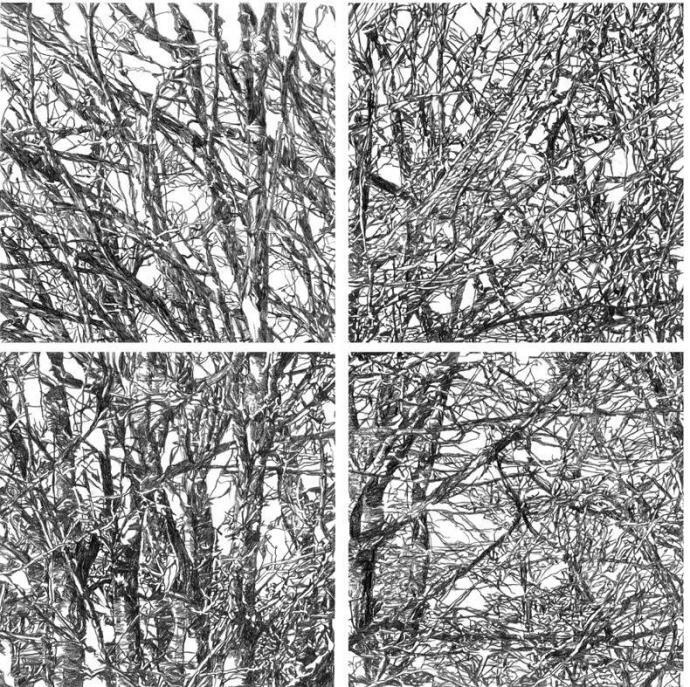 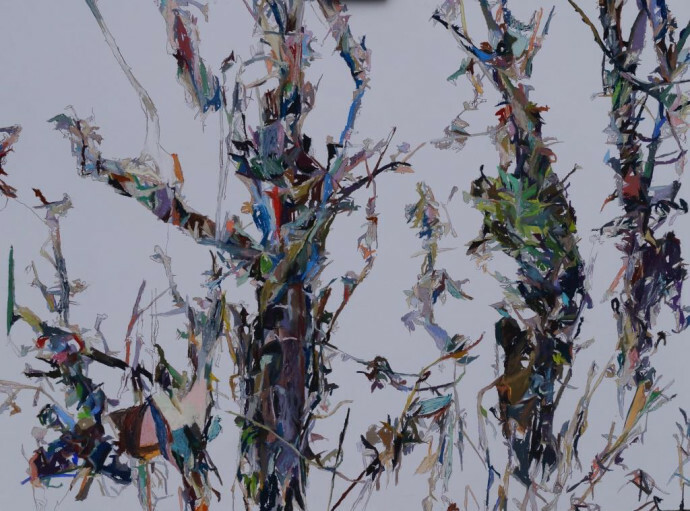 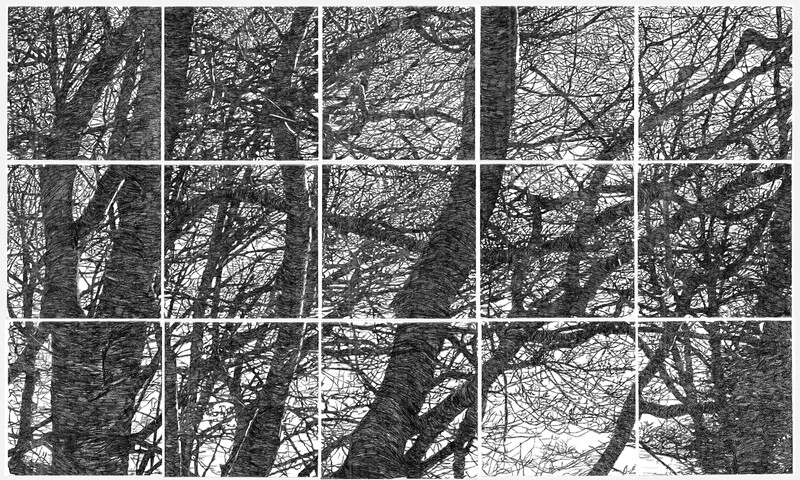 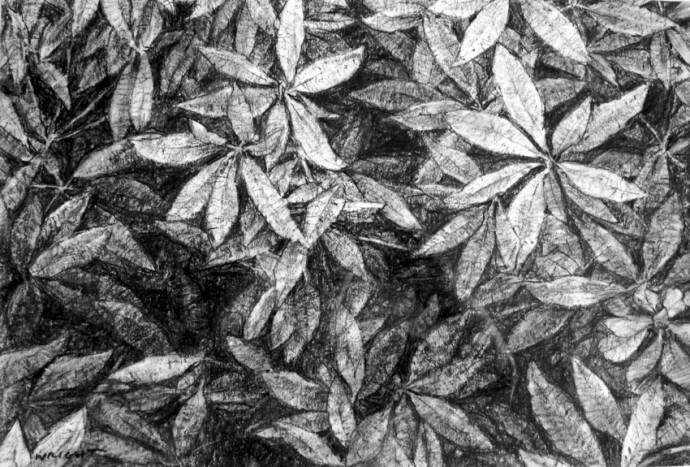 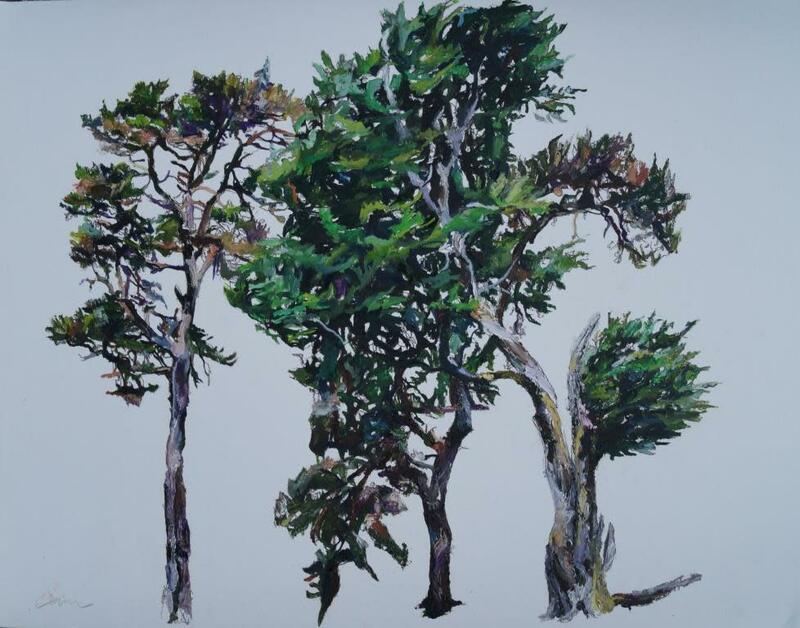 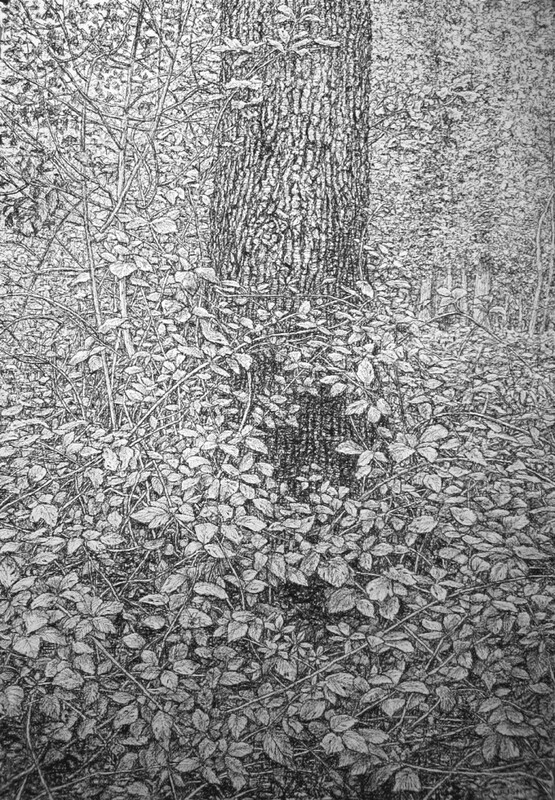 Draughtsman Roy Wright uses charcoal on paper to create forensically precise images of trees. 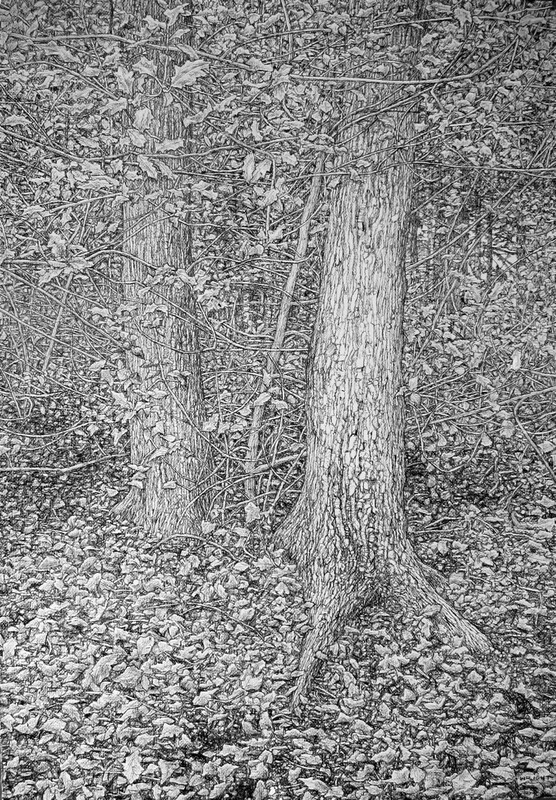 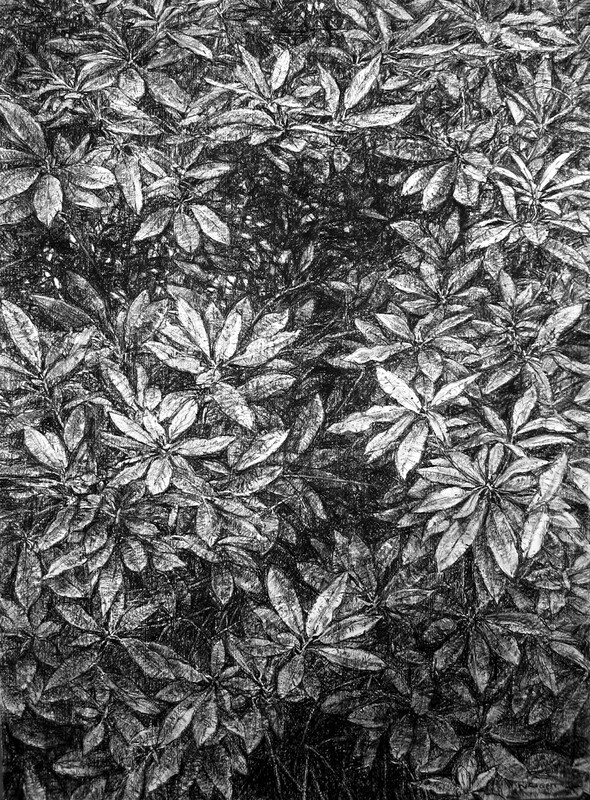 Depicting the veins in each leaf, the close-up texture of the tree bark, Wright's mark-making defines the underlying rhythms that pulse beneath the mass of accumulated detail. 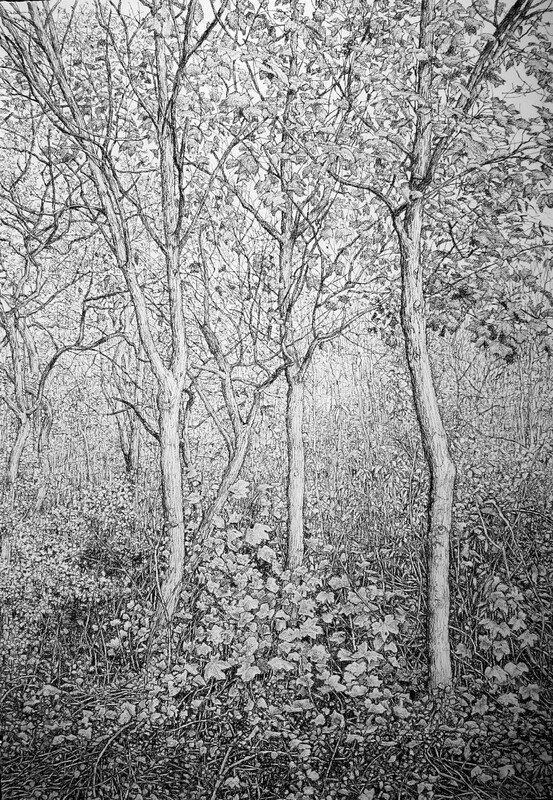 Wright has won numerous awards for his work, including the Royal Academy Summer Exhibition award for a drawing of an architectural subject in 2001. 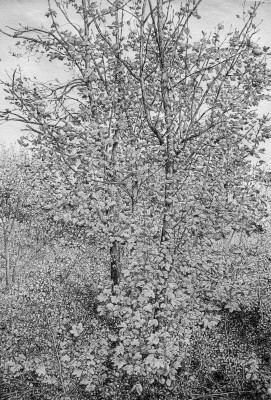 In 2003, he was elected a member of the Pastel Society. His work is held in many public and corporate collections in the UK and USA. 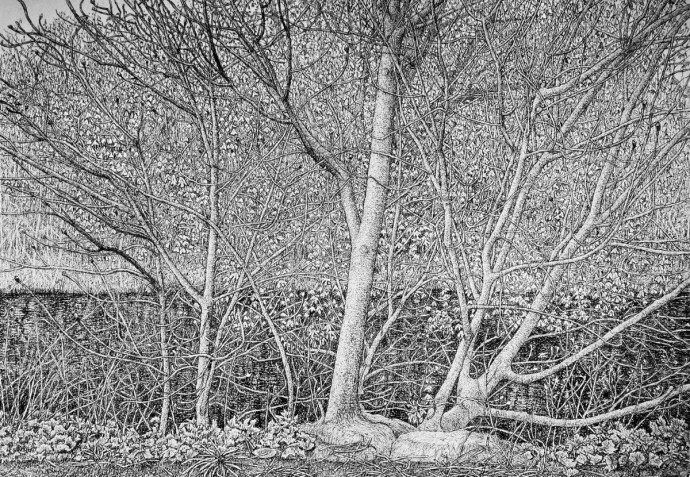 The exhibition will feature nine of Wright's large-scale works, with the series having a particular emphasis on depictions of dense foliage. 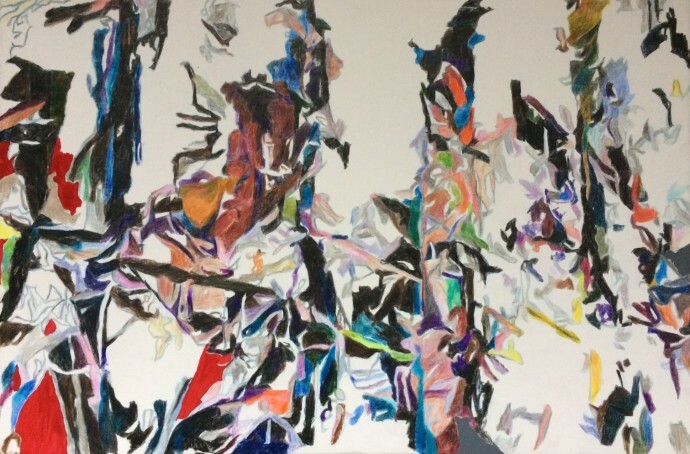 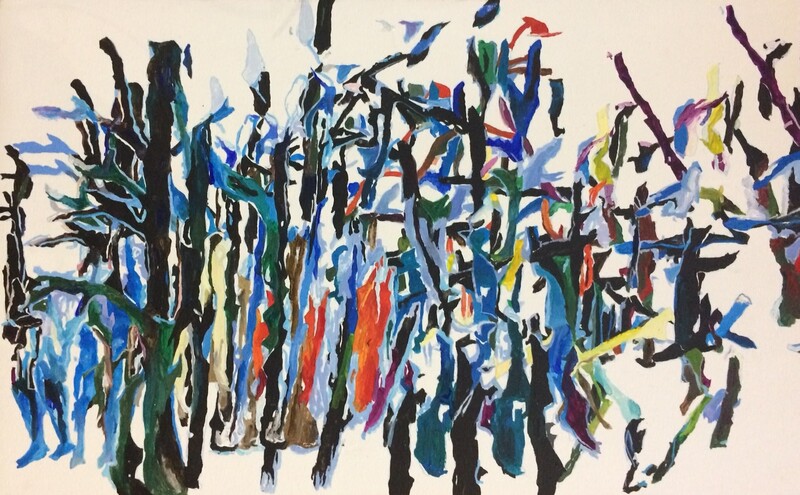 These will be joined by a series of mixed media works by fellow artist Patricia Cain, winner of the Threadneedle and Aspect Prizes in 2010 and graduate of the Glasgow School of Art. 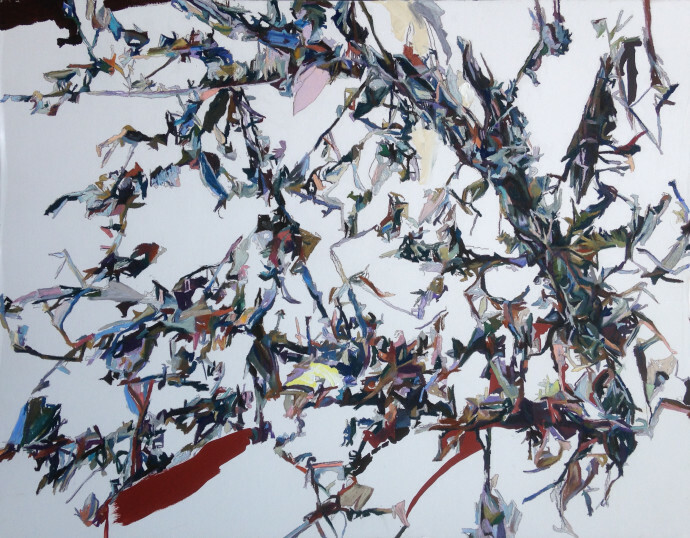 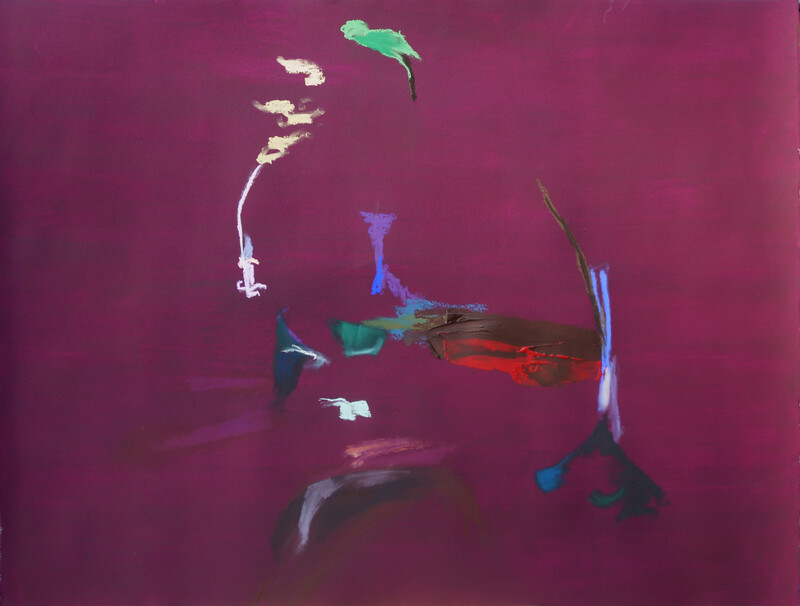 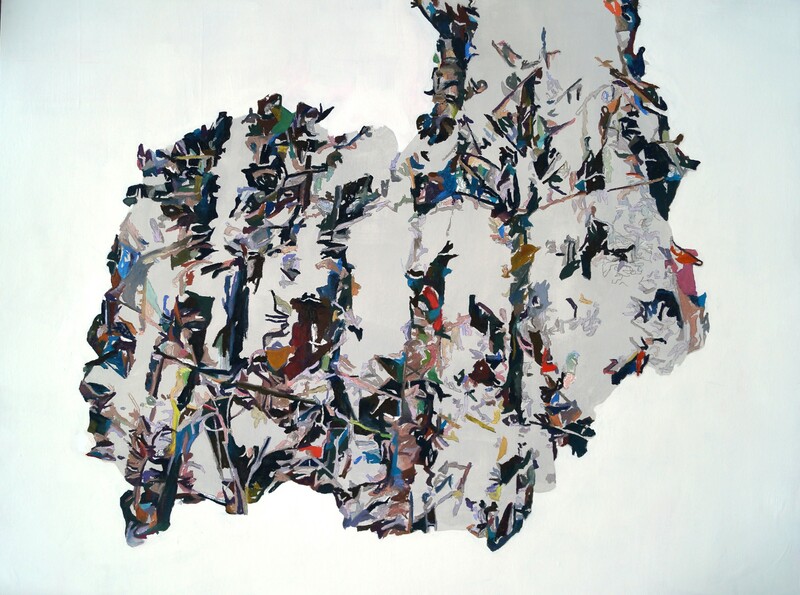 A Dumfries and Galloway-based artist, author and researcher, Cain’s interpretation of the complexities of the natural world balances abstraction and figuration. 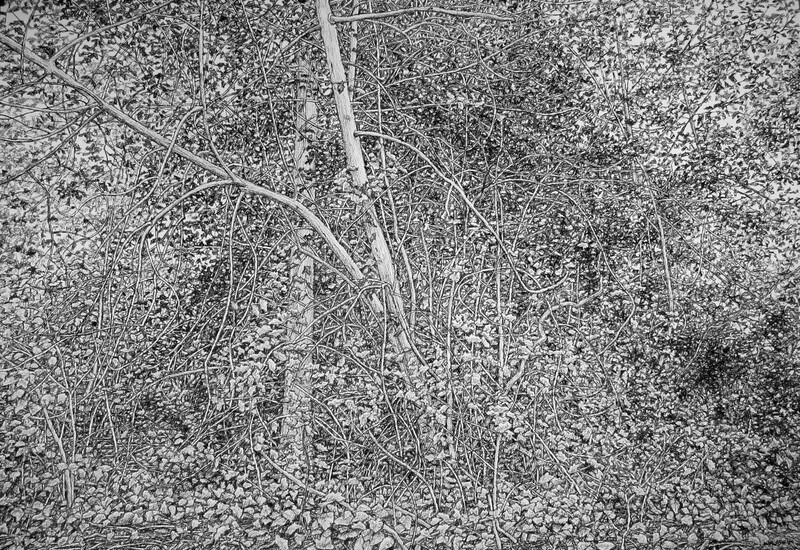 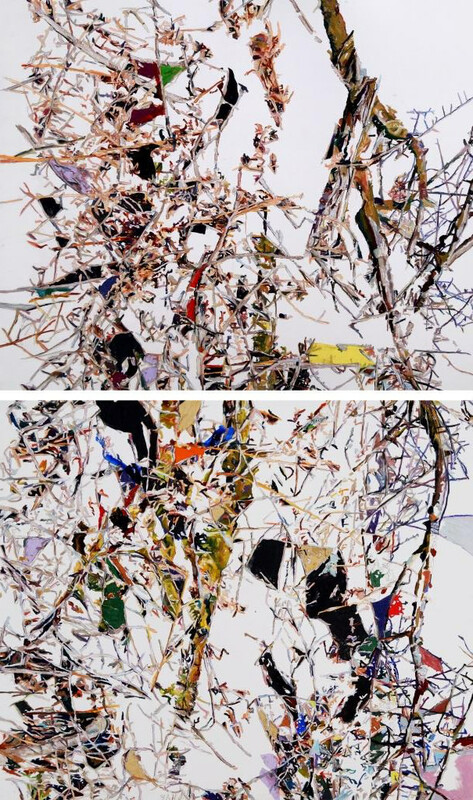 Beginning from a point of intense scrutiny in much the same way as Wright, Cain is fascinated by the process of rendering down an intricate subject closer and closer to nothing, with the eventual negative space both destabilising and energising the composition. This year, Cain's work has been selected once more for the Threadneedle Award. 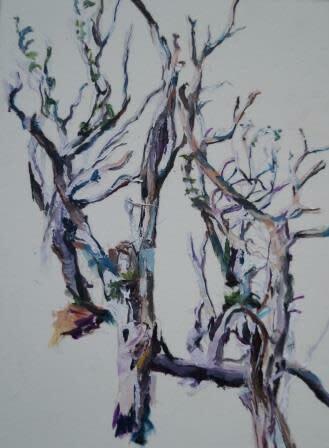 She is a member of the Pastel Society, the New English Art Club and the Royal Watercolour Society. As well as her drawings and mixed media works, Cain creates sculpture and public works of art.